You may want to sit down for this, gentlemen. A North Side woman has been charged with busting two male security guards and a Chicago police sergeant in their groins while she was being escorted from the DePaul University campus, according to court records. It happened around 7:30 p.m. on May 26 in the 1100 block of West Belden on the school’s Lincoln Park campus. 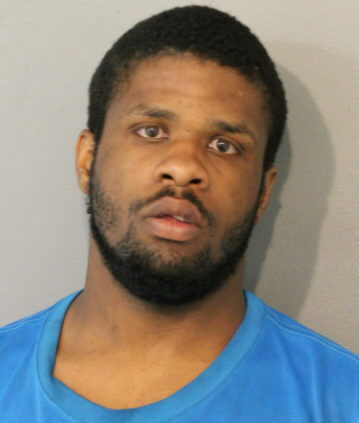 Prosecutors said Laura Harris, 22, was being escorted from DePaul grounds by uniformed security when she cracked a 30-year-old guard in his groin with her knee causing “blunt force injury.” The guard “performed an emergency take-down” and placed Harris into custody, according to court records. When a second uniformed security guard arrived to help, Harris struck him in the groin with a knee, too, prosecutors said. The 32-year-old guard also experienced a “blunt force injury,” according to police records. Cops were called in. As Harris was being walked to a squad car she back-kicked a 48-year-old police sergeant in the groin, again causing “blunt force injury,” police said. Harris is charged with three felony counts of aggravated battery of a peace officer. Judge David Navarro released her on a recognizance bond. Police arrested a 22-year-old Rockford man after he allegedly “assumed a boxer’s stance” and blocked Wrigleyville traffic while on PCP. 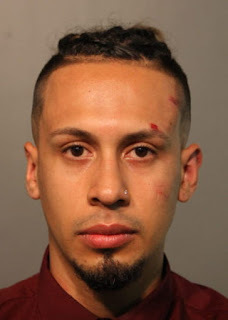 Officers on patrol saw Mario Villegas leaning on a car, yelling at the driver, and “wildly gesticulating” in the 3600 block of North Clark early on May 28, according to a CPD report. Cops say Villegas ran up to arriving officers “talking incoherently and dripping sweat.” That’s when he allegedly “assumed a boxer’s stance, blading his body, balling up his fists and holding them at head level, pointing them at [police], bounding off his feet” and then charging at the cops, the report said. The cops say they pushed Villegas back, pointed a taser at him, and took him into custody. Taken to Advocate Illinois Masonic Medical Center for evaluation, Villegas revealed that he took PCP earlier in the evening, police said. Prosecutors charged Villegas with aggravated assault of a police officer and reckless conduct. He was released on a recognizance bond. It seems 23-year-old Dolton resident Al Walker was a contributor to the “vibrant atmosphere” along Chicago’s lakefront on Memorial Day. Around 3:15 p.m. on May 28, Walker was walking in the 1500 block of North Lake Shore Drive when he approached a man who was sitting near the bike path. What Walker didn’t know is that the person he reportedly chose to threaten was a covert Chicago police officer who was surveilling the holiday crowds. The undercover cop and another officer took Walker into custody. He is charged with assault. Judge Daniel Gallagher set bail at $1,000. Walker was found ineligible for electronic monitoring, according to court records.